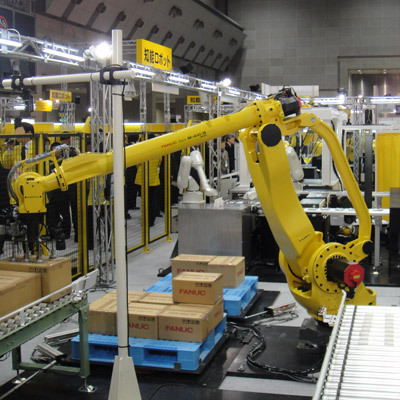 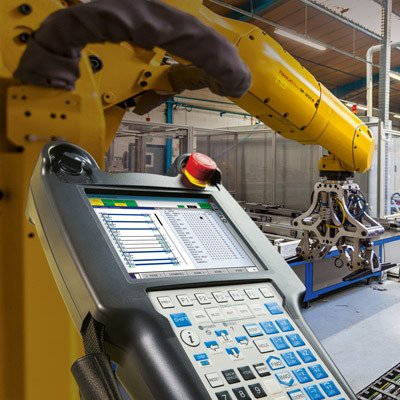 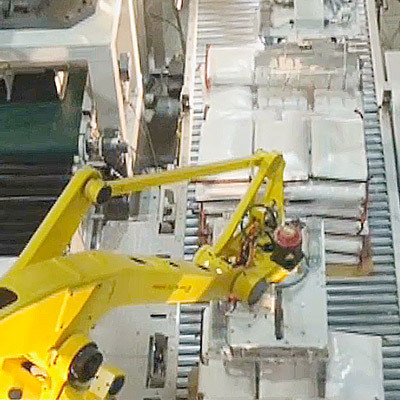 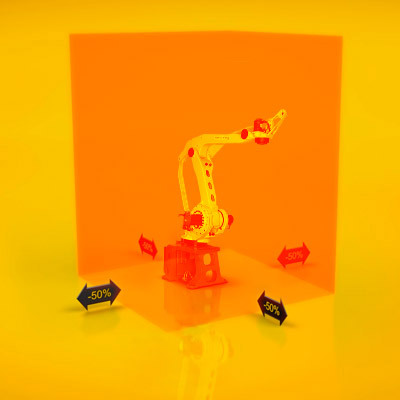 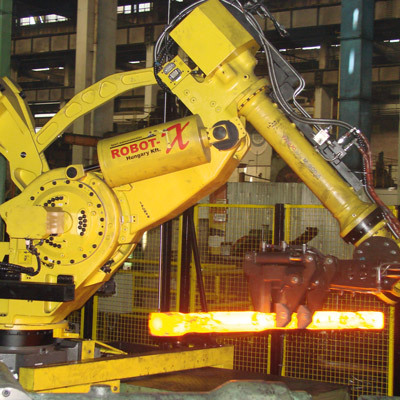 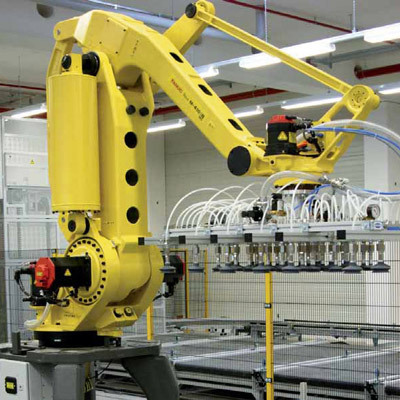 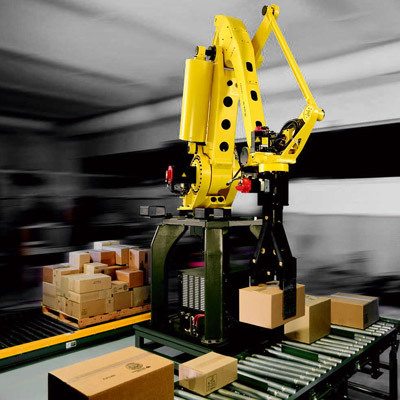 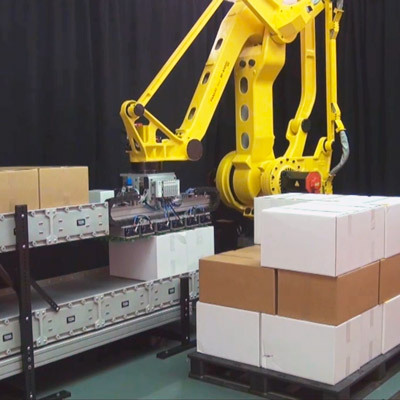 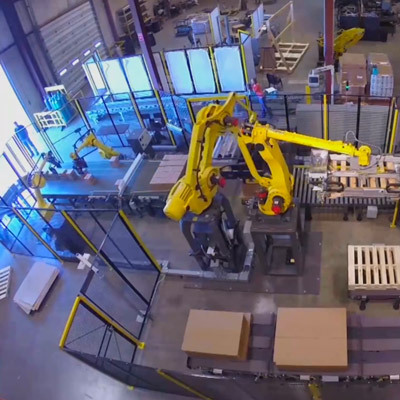 FANUC provides dedicated industrial palletising robots. 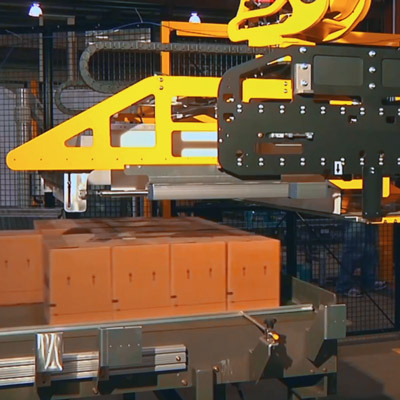 These tough palletisers are designed and built to deliver 100% duty and faster cycle times. 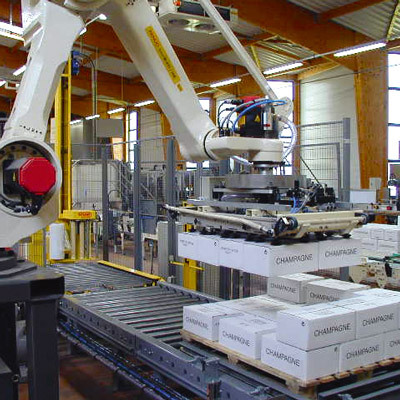 Featuring adaptable software that does not need reprogramming and capable of handling very large payloads, these palletising solutions provide the ideal solution to any number of complex mixed or standard palletising operations.